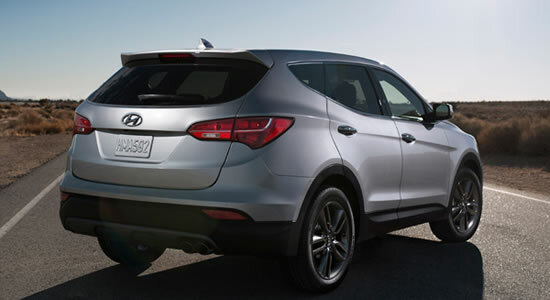 Hyundai Motor today staged a world premiere of the all-new Santa Fe at the 2012 New York International Auto Show. The all-new Santa Fe showcases the brand’s cutting-edge capabilities through its “Fluidic Sculpture” design, impressive fuel economy and a host of features to delight drivers and passengers with high expectations for functionality and comfort. The exterior of the Santa Fe invokes the impression of irrepressible motion through its own design concept called Storm Edge, which captures the strong and dynamic images created by nature during the formation of a storm. The futuristic and urban-style design, with its bold hexagonal front grille, lets people know immediately that Santa Fe is a Hyundai. Hyundai believes the all-new Santa Fe will be a great answer to families with two or more kids that seek the size, flexibility and capability of a crossover at the same time. The new Santa Fe rides on a 2,700mm wheelbase, with an overall length of 4,690mm, height of 1,680mm, and width of 1,880mm, while lowered height and extended overhang gives it a sportier look. 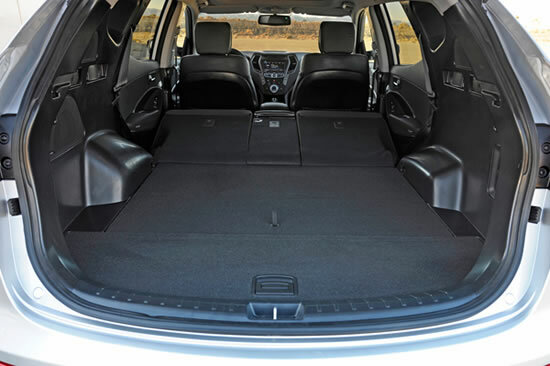 Like its wider appearance, the new Santa Fe offers more spacious cabin room as well. 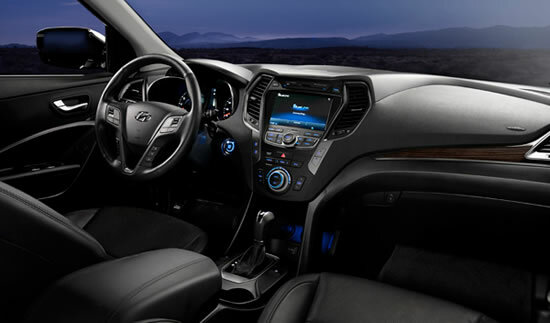 The new Santa Fe is also economically appealing without sacrificing fun to drive. Hyundai also surprised media members and attendees in New York today by unveiling an extended version of the new Santa Fe at the end of the press conference, a long wheelbase three-row, seven-passenger model. This version, which will go on sale in the U.S. in January 2013, will have more space and bigger engines, while riding on the longer wheelbase of 2,800mm, with increased overall length of 4,905mm, height of 1,690mm, and width of 1,885mm. The all-new Santa Fe is scheduled to hit showrooms in Korea soon, while Hyundai received 3,000 pre-orders on the first day of receiving pre-orders, a testament to the high expectations and interest surrounding the new generation SUV. The Santa Fe, which will go on sale in the U.S. late this summer, is expected to successfully position itself as a family SUV in the global market.